THE ROYALS- LIONSGATE TV FOR E! 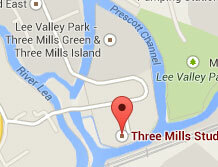 Welcome to 3 Mills Studios; the iconic production destination in the heart of London’s most vibrant creative community. We understand the challenges of production and we have the professional services, facilities and flexibility to fit the bill and help you create something special. 3 Mills Studios – helping you set the stage for the next big thing. Own the stage. 3 Mills Studios Showreel 2018 from 3 Mills Studios on Vimeo. TRANCE courtesy of 20th Century Fox and Pathe Productions.